The term permission-based email marketing" (aka opt-in email marketing) gets thrown around a lot, but many small businesses don't understand exactly what it means or the best way to get and manage their email marketing permission. What is permission-based email marketing? Simply put, it means getting permission before adding contacts to an email list. To get more technical, it also usually involves asking website visitors to opt into an email list. It's a simple concept, but it has huge ramifications for your small business. It is always better to ask for permission to email ahead of time than to ask for forgiveness for spamming later. The cost of sending just one unsolicited email (or spam) far outweighs any potential benefit you could gain. Not only does sending out unsolicited emails affect your reputation as an email sender, but it can also have hefty fines. Anytime you send an email to someone without their permission, you are sending spam. Yes, even if it is someone on your list that you have emailed before. If they haven't requested to receive the specific information you are sending them in the email, then it is considered spam. To avoid becoming an accidental spammer, never email someone you don't have permission to contact. 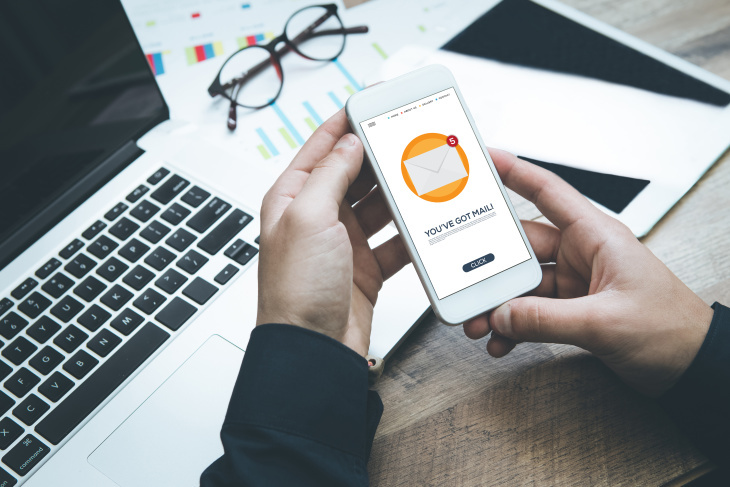 Now that you're sold on the importance of permission-based email marketing, this guide is going to go into detail about some of the more technical aspects, and then dive into some pro tips for increasing your email opt-in rate. A best practice for capturing permission is through a double opt-in email process. What is double opt-in email marketing? It's where you ask the subscriber to confirm their subscription after they've provided their email address. The first opt-in happens when a contact gives you their email address in a web form, over the phone or even at an event on a business card. For those who sign up using a web form, if you have double opt-in set up your email marketing software it will send the new subscriber an opt-in confirmation email. This email can say something like, "Thanks for sharing your email with us! Please confirm that you'd like to receive our emails in the future by clicking the link below." The email will have a link or button that the subscriber must click on to indicate permission. When they've clicked the link, they've completed the second opt-in. For those who sign up over the phone or in person at an event, you should still send them an opt-in confirmation email. That means you need to set your email marketing software to send confirmation emails even when you manually enter the contact information. Sometimes this requires an extra set-up step, so double-check all your settings to make sure this is happening. Almost every email marketing software provider enables you to easily set up double opt-ins so they happen automatically. Getting a double opt-in confirmation allows you to be sure that your contact actually wants to hear from you and it significantly reduces your potential for spam complaints. When a person gives you permission to communicate with them, the clock starts ticking. If you don't communicate with them as soon as possible, you run the risk of the permission you collected expiring. If this permission dwindles and you send an email, it may be considered spam by the recipient. This results in you incurring spam complaints. As soon as you receive someone's email address, immediately send them a message thanking them and letting them know when you will be emailing again and what you will be sending them. If it has been more than six months since the last time you emailed one of your prospects, you should work on gaining their permission again. You can do this simply by sending them another opt-in email making sure they still want to hear from you. This way, you can get them to opt-in again or clean them off of your list if they opt out. In your very first email that you send to someone, set expectations about two things: frequency and content. Frequency: Make sure you tell them how often they are going to receive emails from you. So, if you send a newsletter every month, tell them that. They opted in so they want your content and they want to know when they are going to get it. Remember, you want people to expect your email. You don't want people to be surprised or upset that you are emailing them, potentially triggering them to hit the "this is spam" button on their email program. Content: Always let your subscribers know what kind of content you are going to be sending them. If they signed up for a newsletter, give them a preview of upcoming content at the end of the current newsletter. People are much more likely to open your emails and read them if you tell them what's coming and when it's coming. If you haven't set expectations correctly, you're likely to get spam complaints from people who receive unexpected messages in their inbox. Let your subscribers choose how often they receive emails from you. Also, give them the ability to choose what type of content they want to receive. This will show your subscribers that you value their time and their interests and most importantly, their inbox. By giving your subscribers control over what they receive and how often they receive it, you dramatically reduce your chances for spam complaints. Remember, just because you are using a permission-based email marketing structure does not guarantee you won't have any spam complaints. So, the more control you give to your subscribers, the less spam you send. It's a win-win. Through most email providers, you can place a link in all of the emails you send that guides subscribers to an area where they can select their preferences. Permission does not last forever. In fact, it must be earned with every communication. So, even if you have established a good email relationship and allow your subscribers to manage their preferences, you still have work to do. To stay welcome in your subscriber's inbox, you need to make sure that all of your emails are interesting and timely. Make sure your subject lines are relevant to what is in the body of the email. Also, highlight things that are time sensitive in your emails to stand out from other content. And, always let your subscribers know when you will be touching base with them again. You're probably thinking, Why would I ever want to allow people to stop receiving my emails? That's how I communicate with them so they can stay up to date about my business and all of the wonderful products or services that I offer! Sure, building a permission-based email marketing list is not easy, and you don't want to let subscribers go too quickly. But you have to give them the option to get out if they want to. The number one reason why you should give people the ability to opt out is to avoid spam complaints. Instead of sending emails to people who don't want them and end up marking them as spam, allow them a way out so you can remove them from your list and avoid the repercussions that spam complaints can have on your email marketing strategy. Today, everyone's inbox is cluttered. Aid your subscribers in the fight against unsolicited emails by proactively offering them a way out every so often, too (consider once a year). Send your list an email about your plan to help them take back their inbox. Let them know that if they want to opt out, it is as easy as clicking a link that you placed in the email that will lead them to the area where they can unsubscribe. Don't hide the opt-out link in your regular marketing emails either. The opt-out link should be easy to find in all of your emails. If you are giving your subscribers good content, they should not want to opt out. And if they do opt out, then you can rest assured they are not currently a good lead for your business. This is the difference between the opt-in vs. opt-out, in fact. When someone opts in, they are raising their hand as a lead. When they opt out, they are lowering their hand. Don't fret about those subscribers who opt out. Because you have established an honest, open relationship with them through email, you have earned their trust. And trust builds customers in the long run. There's a good chance they'll come back. Your email opt-in rate is the percentage of your website visitors who are subscribing to your email list. It is not easy to make people sign up for receiving emails these days unless you know which methods are most effective. Here are eight tried and tested ways to increase your email opt-in rate quickly. The first question you should ask yourself is why anyone should sign up for your email list. When a user is visiting your site for the first time, it's expected that they don't know anything about you, your business, or your website. Therefore, to attract a visitor to become your subscriber, you have to entice them with the sort of promotion or offer that they can't ignore. For example, you can offer a relevant free course that would normally cost the reader money. Or you could offer a free e-book. These freebies come with a give-and-take policy (typically they give their email address for your freebie). Unless you're willing to give something valuable and relevant, you can never expect visitors to become subscribers. Some of the most important things that will impact your email opt-in rate are the text and design of your landing page or opt-in form. Write powerful and effective headlines and taglines that will captivate the users at the very first glance. For example, if you are offering a free e-book on online marketing, make the headline punchy and alluring, like "Top Secrets Finally Revealed Find The Tricks Popular Influencers Use For Viral Marketing." Make sure your audience feels as though they would be missing out if they ignored your freebie. All copy on the landing or opt-in form must encourage the visitor to get the freebie by signing up. Along with the text, the design is also important it needs to catch eyes and grab attention. Many marketers also incorporate a countdown timer to illustrate the time left before the promotional offer expires. This can be an effective way of encouraging the audience not to miss out. An innovative, clean, and user-friendly landing page design has the ability to dramatically increase your email opt-in rate. The methods above are used by most websites that are serious about increasing their email list. Therefore, the chances are high that your visitors have also come across many other sites claiming to give away valuable information. Hence, you need to separate yourself from the crowd by getting personal. Show yourself as an expert in your niche. Consider putting your photo on the landing page or opt-in form so that you can establish a level of trust. Furthermore, it can beneficial to promote yourself personally as the brand because visitors have a habit of trusting a person more than a faceless company. Show off your achievements in the field and make promises with confidence to establish yourself as a credible personality. Social media can be very effective, but only if you know how to use it to your advantage. Social media sites allow you to interact personally with your followers and engage with new people and convert them into subscribers. Make your presence felt by organizing contests or giving special offers and deals for existing followers so that they can share and bring in new people who can interact with you and sign up to your email list. Break the barrier by going live, get personal with everyone, show your personality and promote yourself as the brand. Social media is a good opportunity to show your target audience the benefits of becoming an email subscriber, and how existing subscribers have benefited from your service. Turn a social media post into a call to action by giving new followers the opportunity to subscribe before a specified deadline for some free goods and services. 5. Show social proof: How can a person benefit from being a subscriber? People have a habit of following the masses. That's why you'll find that once you get a certain number of followers on social media sites, the number will continue to snowball, because new audiences start considering you both reputable and trustworthy, and decide to follow you too. Another idea can be to create an infographic that illustrates how you started, what your journey was and where you are now. Most permission-based email marketing tools provide you with options for displaying opt-in forms and landing pages at different times so that website visitors aren't left feeling put off by your business. You can schedule your forms to appear based on user behavior, during certain events or actions, or at predetermined intervals so that it feels natural. Timing is critical, and technology can help you iron it out. Furthermore, there are different types of opt-in forms available. For example, it can be an overlay, placed on side widgets, within or after post widget, a canvas pop-up, or a lightbox pop-up, floating footer bar, a slide-in, and so on. Consider randomizing the form so that users don't have to put up with repetition. Eliminate those that don't get any response so that it doesn't look like you're pushing too hard to get visitors to sign up. Everyone likes to feel special. Make a new visitor think that you are offering them something exclusive by randomly offering different freebies to different visitors. There are tools available that provide you with the option to perform a random selection if you have created multiple opt-in forms. Even when you're interacting with a new visitor on social media, offer something exclusive so that they become interested and are lured in by it. To encourage existing subscribers to bring in new subscribers, consider offering premium content or a deal of some kind to those who refer ten friends to your email list. You need to have a referral link and tracking system in place for this, but it's a creative and fun way to boost your email opt-in rate. Now, let's review: Always make sure you ask for permission to email someone and for even more protection, use double opt-in email marketing. This will ensure your contacts are getting what they want to receive and will reduce your chances of your business being marked as a spammer. But successful permission-based email marketing doesn't stop there. You must also maintain permission, set expectations, let subscribers manage their preferences, enable them to opt out easily and most importantly provide value up-front and continuously. Writer's block? We have 27 free templates (including blast emails and campaign emails!) to help you get started, plus some awesome strategy tips that will help you get inspired.